After announcing our new line of Sesame Street Merch last week, we're pleased to announce another retro kids' TV brand to be added to our stonking great collection of animal-themed products. 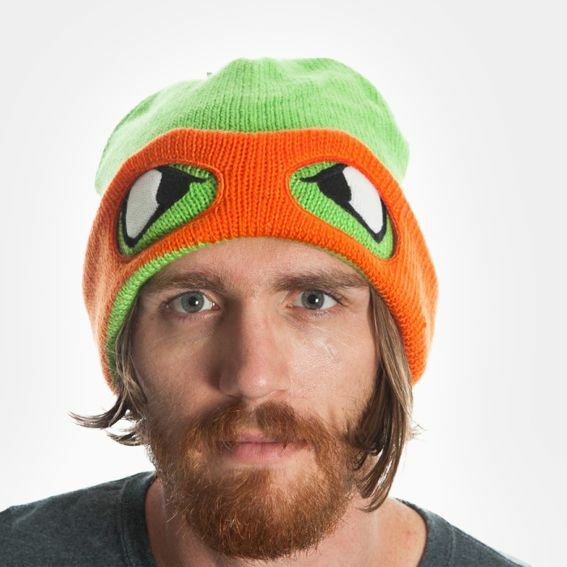 Jump for joy, order pizza, and yell "Kowabunga Dude!" at the top of your voice... It's the Teenage Mutant Ninja Turtles! Check out the products below. The backpack in particular is seriously and turtley awesome. As you can see it comes in the shape of a turtle shell so can act as a cosplay or fancy dress accessory as well as your every day school/work/crime fighting bag. 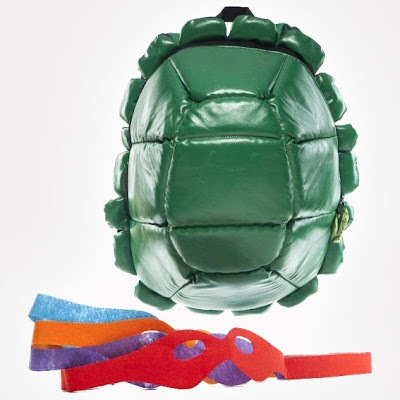 To add to the fancy dress thing, the bag comes with a pack of 4 masks - one for each turtle so that you and your friends can look the part when you're getting those bad guys. 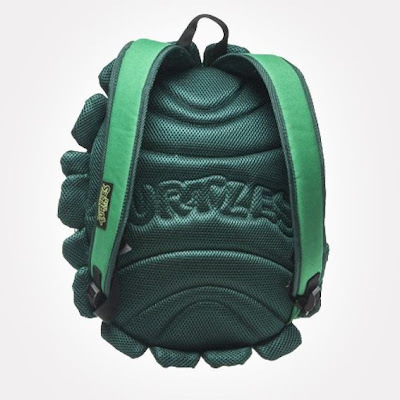 The bag is also really well made, as you might expect from an official Turtles product. It has a padded back-facing side (see below), adjustable straps and plenty of pockets and divided sections inside the bag to keep your books and belongings nicely organised. Splinter would be proud. As well as the bags, we've got a bunch of TMNT hats for sale. 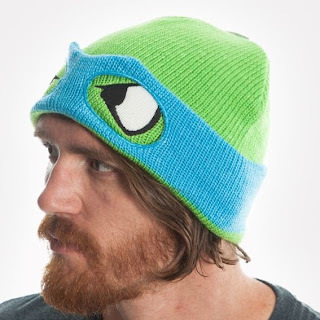 There is one for each turtle character in the style shown below, and there are more hat styles coming soon. This TMNT hat is a beanie with the Turtle's eyes appearing at the front with a red, blue, orange, or purple mask, depending on which character you want to be. When it gets seriously cold, flip the mask down to cover your face like a ski mask.